Deciding to study abroad is a major decision requiring financial investment. It is often not easy for international students to procure information that can help them make an informed choice about which university, college or school to join and which course to take. The decision to study abroad is an important decision to say the least. A right decision can take your career to new heights but at the same time, a wrong one can set you behind by huge amount of money, a few wasted years, and most importantly, a career setback. That can cost the highest. There are many factors, which one should consider while studying abroad. Every student has his own background, expectations from studying abroad, financial capacity, and aspirations. 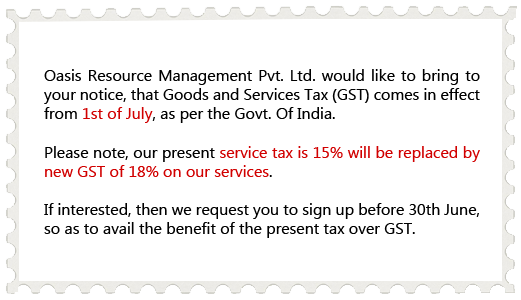 Therefore, the process of going abroad has to be completed with utmost care. We would like to help students to make informed decisions about their education that will stand them in good stead for the rest of their lives. 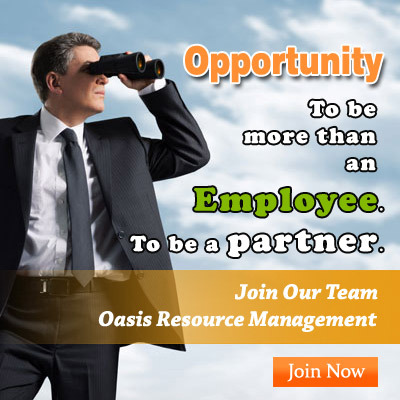 At Oasis Resource Management, we focus on providing students with solutions that match their interests, goals and capabilities. We commence with a 360 degree analysis which helps students to realize themselves based on principals that are accepted worldwide and provide them a focused career path to make their life successful, and move towards helping students secure admissions in their choice of country, university/college and course. We guide our student clients through the entire process of making a career plan from preparing for the entrance tests to selecting the right country and selecting the right institution to study and finally making your candidature presentable to the admission officers of the institutions. We also send our own recommendations, covering a student's strengths and reasons why they should be granted admission. The University's admission mentors consider these recommendations in their decision making. We are one of the most trusted name across India for all students aspiring to study overseas. We help you find educational loans and scholarships. We conclude by visa preparation, visa filing, and get you through the complex visa process. We have been associated with managing this process on behalf of our student clients for the past 10 years. Before applying for the universities we provide our student clients with a rich set of resources from learning center and online tests which helps the student to improve one's analytical, problem solving and confidence levels while taking the real exams like GRE, GMAT,SAT,LSAT,IELTS,TOEFL. We offer students, assistance with scholarship applications, arrange student loans, mobile services, insurance, credit cards, student discount cards, foreign exchange and so on. Quality institutions including Kotak Mahinndra Bank and British Council have also joined hands with us to provide their services from within Company's Branch network throughout India. Training for settling into the new host country also providing an opportunity to meet other students (and their parents) who are heading abroad and possibly to the same university. In the next year we hope to build an Alumni network as they become a good source for you to find out their experiences and challenges while at university. Our student network will help you interact and network no matter where in the world you are. Our counselors will give you valuable advice on the accommodation types to suit your needs and budget and help you with all related formalities. We offer a one stop solution to help you get the information and guidance you need to find the right college or university program, assist you with the entire application process.